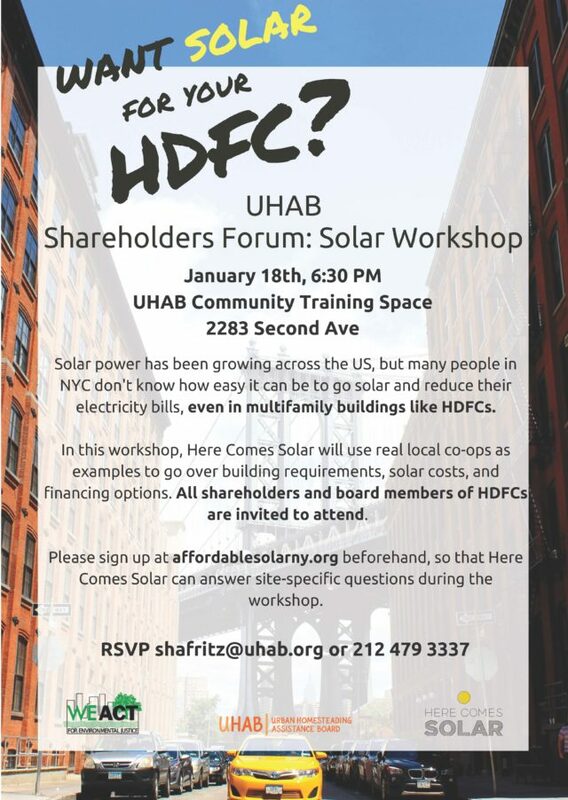 In partnership with Urban Homesteading Assistance Board (UHAB) and Here Comes Solar, WE ACT will be hosting an information session on accessing solar power in NYC HDFCs. This East Harlem located event is open to shareholders and board members of HDFCs. Please contact Aurash if you have any questions.